IUPUI’s role as Indiana’s urban, public institution of higher education inspires us to seek, value, and cultivate diversity in all of its forms. We’ve become a national model for fostering diversity and inclusion for all students, faculty, and staff by providing an environment where all individuals feel welcomed and appreciated, and can achieve their fullest potential. 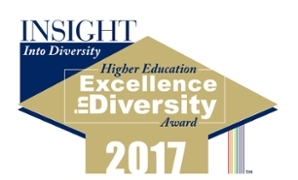 IUPUI has been honored with the HEED Award for six consecutive years. Nearly four years ago, IUPUI adopted the mantra that "diversity is a thought, not an afterthought; an action, not a reaction," and with that has come a six-year streak of HEED Awards. Members of UPnGO at IUPUI aim to promote diversity and improve retention by providing avenues for academic, professional, and social support. UPnGO fosters networks and collaborations, and can keep you informed about fellowships, services, and activism on the IUPUI campus.